Today is another sunny and hot day here in Scotland :) I've already posted today but I am so inspired sitting out in this sun, so I had to come back to you guys with more. I crave lots of lovely things when the sun is out. 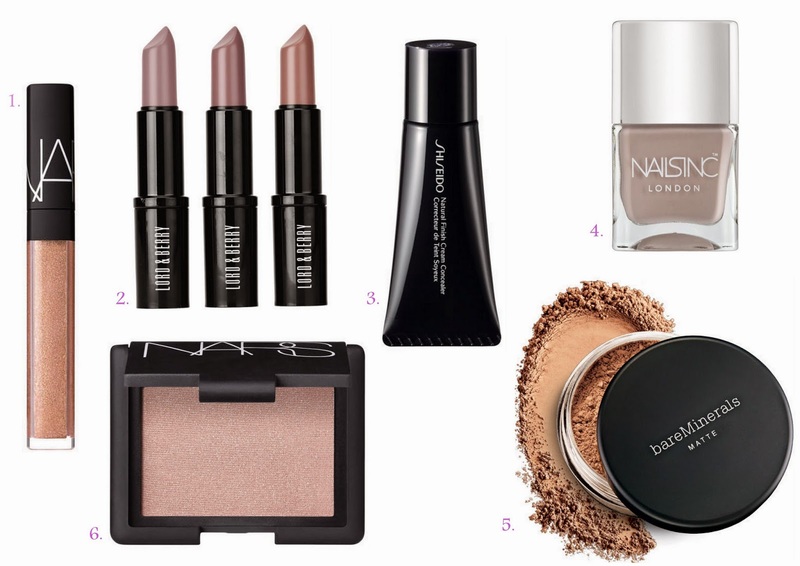 So here is a bunch of makeup that would be perfect for sunny and hot days. To keep you less shiny and more matte-like this bareMinerals foundation would be perfection and easy to touch up as it's a powder. The NARS 'reckless' blush is the perfect shade for a little colour on the cheeks on hot days. I also love the shade of these Lord & Berry lipsticks, aren't they just beautiful?....I'm in #awe. I am a total sucker for light shades this time of year...."They are just sooo PRETTY!" We are getting gloomy weather today Paula. The good weather has probs moved your way now LOL. Enjoy!! Wonderful makeup! I love all of the different products - I want to try everything! I know Jessica they are just soooo lovely. I know exactly how motivating a sunny day can be...I love the Lord & Berry lipstick set featured in this post! I love sun. The lippies are so gorgeous.